In HRE4, we will be using 4 models: Peta and FORECAST will be used to understand the heating and cooling sectors, while JRC-EU-TIMES and EnergyPLAN will be used to model the development of the heating and cooling sectors into the wider energy system. 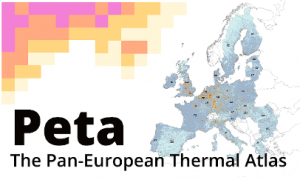 Peta4, the Pan-European Thermal Atlas is the Pan European Thermal Atlas developed as part of the work in WP2 of HRE4. The model is a geographic representation of heating and cooling demands in the 14 countries, excess heat potentials, prospective district heating networks, availability of renewable energy resources such as geothermal, solar irradiation, biomass and more. FORECAST is developed by the Fraunhofer ISI, TEP Energy and IREES. Its purpose in this project is to model the buildings and industry sectors, and the effect and cost of energy efficiency measures in buildings. The outputs are detailed heating and cooling demand profiles, for the residential, industry and service sector. This includes a detailed breakdown by sectors and processes, end uses, temperature levels, and building classes. These are used to further calibrate the heating and cooling demands in Peta, as hourly and total profiles in the energy planning, and to better understand the possibilities for energy efficiency on the demand side. The JRC-EU-TIMES is designed to analyse the role of energy technologies and their innovation for meeting Europe’s energy and climate change related policy objectives. As an optimisation model, JRC-EU-TIMES aims to show the impact and possible pathways based on policy initiatives and technology developments. In order to accommodate the current market starting point and reflect the long-term planning and increasingly sustainable ambitions for the energy system, JRC-EU-TIMES uses a combination of time value of money and cost of capital rates for different technologies. EnergyPLAN is developed by Aalborg University and is used to simulate the electricity, heating, cooling, transport sectors on an hourly basis. This allows for an in-depth understanding of how the different sectors of the energy system are affected. 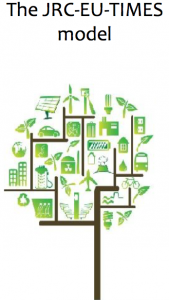 EnergyPLAN uses the technical and economic potentials and constraints of heating and cooling technologies and sources to quantify the energy, economic, and environmental impact of different energy scenarios. Together with the JRC-EU-TIMES this will allow for a synergetic, system-wide analysis of the impacts of energy efficiency measures in the heating and cooling sector, and inform the final Heat Roadmaps. The Heat Roadmap Europe methodology has grown to include experts from various fields of energy efficiency and energy analysis, in order to be able to analyse the heating and cooling sector both in depth and in a wider context. Before making any changes, a starting point or reference model is created, so that the alternatives can be compared to something. In this project we use 2015 as a base-line and develop a 2050 Business as Usual (BAU) scenario. Using the FORECAST model, heat savings are implemented to the point where the cost of further savings equals the cost of supplying renewable heat. This is used in Peta to give a spatial dimension to the heat demands, and the energy planning models to allow for an integrated approach. The mapping done in Peta is used to identify the extent to which network solutions (like gas and district heating) are possible, and where alternative technologies for heating and cooling must be implemented. The results of this are later compared to the spatial availability of renewable energy sources, and are also transferred to the energy planning tools to provide for an integrated approach. The results from Peta and FORECAST are used to determine the heat demand in areas where network solutions are not viable, meaning they must be heated and cooled by individual solutions. The energy planning tools are used to determine what the impact of different supply technologies is on the system. Peta is used to determine the potentials and constraints of different supply forms. These vary from excess heat from industry or waste incineration, centralised renewable heat from solar or geothermal, bioenergy and solar energy potentials, and bioenergy potentials through biomass, biogas or gasification plants. The energy planning tools are used to incorporate these changes to the system and provide cost evaluations for steps 1&2. 5. Integrate more renewable electricity in the heating and cooling sectors. The electricity resources are used as efficiently as possible. Where CHP or heat pumps are used, they are used to create synergies between the thermal and electric systems. Because of the fluctuating nature of some renewables, hourly modelling in EnergyPLAN is necessary to fully quantify the effects that the heating and cooling sector have on the energy system. This final step includes a variety of optimisations and checks to ensure that the final scenario is still the most cost-effective. These scenarios, together with the developments of the different technologies and sectors, are then analysed and used to develop the Heat Roadmaps for the 14MS.